I just happened to see that you can now read Amazon Kindle books right in your web browser -- no software download or install needed. This makes it even more convenient for people to buy and read my eBooks. 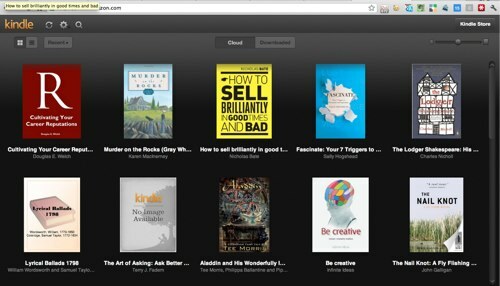 You can still download the Amazon Kindle Reader software for your computer, iPhone/iPad or Android smartphone or tablet, but if you just want a quick diversion -- perhaps you are using someone else's computer (or a public access terminal at your local library) -- you can easily access the books you won directly from the cloud.